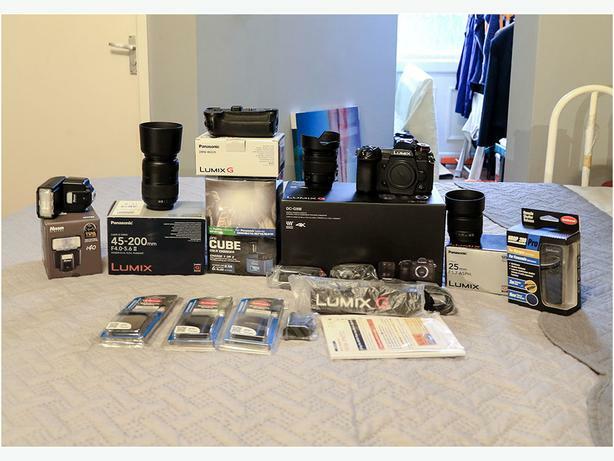  Log In needed £1,450 · Panasonic G9 complete kik. All The Camera gear is in mint condition as it is only 7 months old comes with 3 lens a fish gun also a trigger release 4 battery's and a twin base charger. I will also give you a brand new 16gig class 10 memory card.